Experience the fun of mixed media art with this project, which includes a 5" x 7" canvas board, a decorative gift box, and a coordinating card! 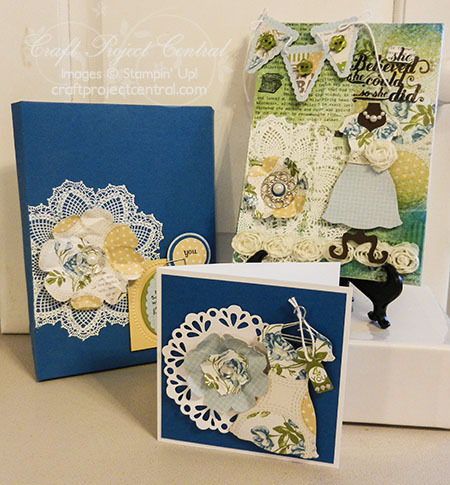 You’ll enjoy creating this ensemble so much that you might have trouble parting with it, so go ahead and plan to make two (or more!!)! This pretty set was made by Regina Andari, and you can get the details for her tutorial over at Craft Project Central!